Spend the day, spend the night, or spend a couple of hours with us - we offer a great variety of exciting adventures to fit all types of schedules. We must warn you though; you will never want to leave! How about a 4-day wilderness adventure trip? See our website at ABOadventures.com for more details. Montana big game hunting needs no introduction here for the serious hunter. ABO offers a wide variety of hunts for the experienced big game hunter and the adventuresome who have always wanted to try it. Check out our website for more details, aboadventures.com and then call Cameron @ 406-579-3866. For the hunter who prefers a private land hunt, ABO offers you a challenging, first class hunting experience with less difficult terrain. We offer a limited number of hunters guided fair chase hunts in distinctive settings. Fall offers the opportunity for elk, deer, and antelope hunting on private land, while spring is the season for turkey and spring black bear hunting. Accommodations are superb, the country is breathtaking and it's vehicle accessible. See our website for more details, aboadventures.com or call Cameron at 406-579-3866. 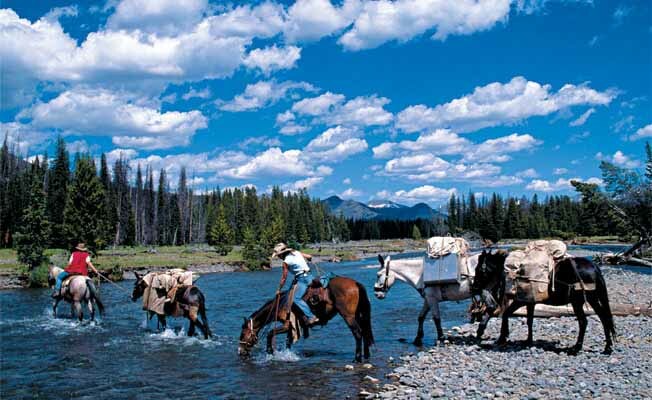 For over 30 years, Absaroka-Beartooth Outfitters has been providing adventures in the Montana wilderness. Our reputation for professionalism, safety, fun, great food, challenging hunts, abundant fishing and comfortable accommodations is well deserved. Please take a few minutes to visit our website at aboadventures.com for detailed information. If you have any questions do not hesitate to contact us by e-mail or phone: cameron@aboadventures.com or 406-579-3866. We look forward to hearing from you.